It’s finally that exciting time of the year – or painful for some – where the kiddos are in the classroom, morning traffic spikes and parents say goodbye to their soon-to-be adults as they head to college. For many, this is the first time they’ll be at a home away from home and need a way to make things feel familiar again. Moving into a dorm can be a drag, but these essentials will help ease the transition from your super-sized bedroom to a space in a small room tucked away on campus. A bed to your doorstep. Reality check: The worst part about dorms isn’t always the lack of space; it’s the paper-thin mattresses you’re supposed to sleep in for the next year. Put a new, comfiest of comfy mattress on your list and be sure to get it delivered straight to your door for bonus alleviation. Eve Mattresses are simple one-size-fits-all memory foam beds that are guaranteed to give you that better night’s sleep so you can ace your tests the next morning. 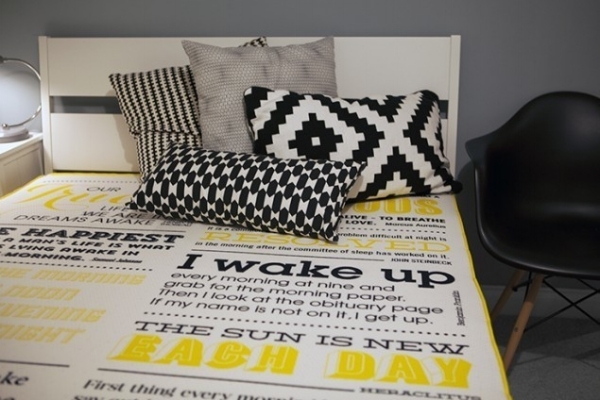 You can even customize the mattress cover to suit your style or add a message of inspiration to help you feel ready for the day. Besides, visiting a store for your mattress is so 2013 and you want to make a good first impression from day one. Silky smooth sheets for that mattress. Your fortress isn’t complete without a set of sheets to top it all off. Bedface sheets are just as smart as you are, using their facetech™ cotton to create a perfect combination of quality, breathability, durability and softness. These sheets are made of 100 percent long-staple cotton, meant to get softer and cozier with each wash. You can design a custom set of colors to cheer your sports teams on and know that you’ll have sheets to last you through your college years. 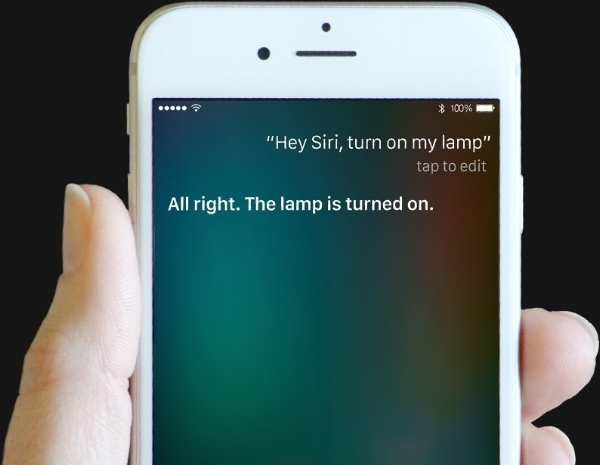 Turn things on and off from the palm of your hands. Nothing has more “cool factor” right now than smart products. Take a step toward a connected dorm with the iDevices Switch, a connected plug to help you control and monitor electronics around the room, straight from the palm of your hands. Use it on lamps, TVs, coffee pots, string lights, fans, humidifiers and more. There’s nothing worse than climbing to the top of the bunk and realizing you left the lights on, and this is your solution. Add a little bass, and lights. Working your way to becoming your dorm building’s social elite? Stock up on an 808 Audio HEX Light for your very own pop-up party. 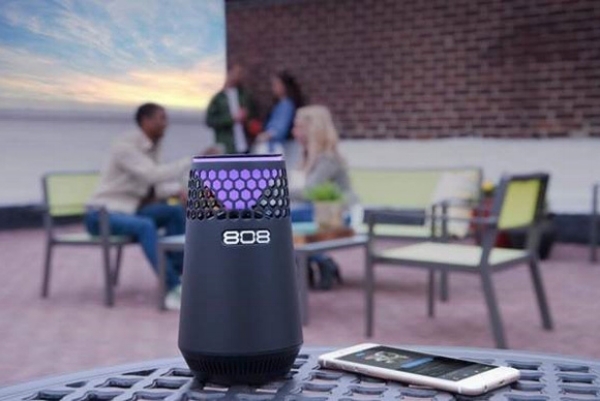 This portable Bluetooth speaker packs big sound in a small package, built with bright lights to set the party’s mood. You can set the colors to stay steady, flicker around or bump to the beat. Its wiring will give your space a room-filling 360-degree sound so you’ll feel like you’re in a dream home – and not your tiny space. Survive without your parents’ cable subscription. If you’re not already a cord-cutter, I’ve got some news: most dorms don’t give you a free cable box. That means you can a) live without your favorite shows b) live with endless fomo because you’ll stream them later or c) jump on board and get yourself a sleek antenna. RCA’s Skybar is a discrete partner for your television that’s perfect for any space. 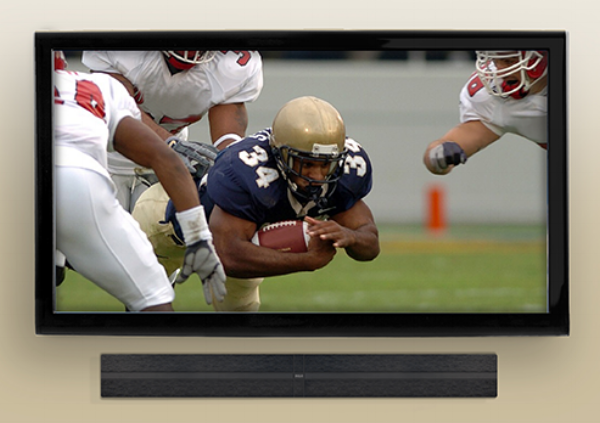 With three mounting options, you can pop it on top, below or behind your television and set it up to get your favorite local channels for free. You’ll definitely make a friend or two after being one of the few to be able to host the next Bachelor Nation party. One thing you’ll certainly miss is a home cooked meal and the smell of fresh ingredients from your mom’s kitchen. The best way to hack this is by growing your own garden in your new home away from home with a Click & Grow Smart Herb Garden. 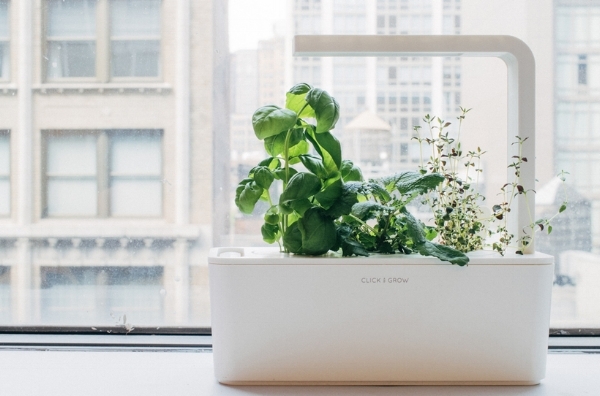 This indoor gadget helps you grow your own nutritious herbs, fruits and flowers even if you don’t have a green thumb or exposure to sun. Their smart soil uses NASA technology to make sure plants thrive with zero effort – let’s be real; you’re too busy to grow real plants. Don’t forget a snack for later! It’s not a surprise that after spending days buried in books and nights exploring your new home, you’re going to crash throughout the day. If you’re notorious for all-nighters, it’s especially important that you stock up on healthy treats to help you stay fueled throughout the day. Keep your dorm packed with grab and go goodies like nutrition-filled LUNA Bars. Flavors like their new Berry Greek Yogurt are the perfect combination of protein, essential nutrients, creamy goodness and a spark of berry fruits. The power of protein keeps you full and feeling good about your decision, and the delicious taste is still diet-friendly at an impressive 200 gluten-free calories.